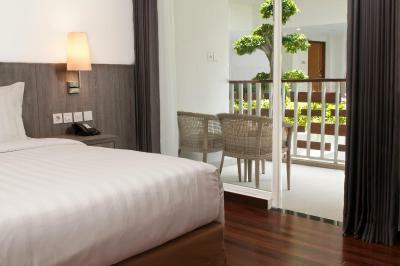 Lock in a great price for Aston Canggu Beach Resort – rated 8.5 by recent guests! 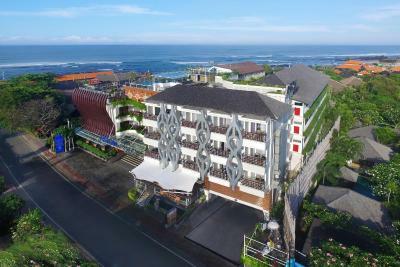 Great location, walking distance to most Canggu places. Pool and breakfast was good too. Complete set of breakfast. Fantastic location; close to The Lawn, Old Mans and the beach. View from the roof-deck is great....the pool/deck/bar area are unfortunately old and tired looking. 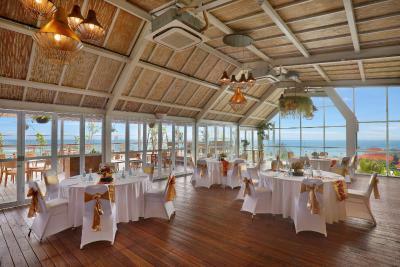 Prime location next to beach and fun bars/restaurants. For those that prefer the hotel experience, this is a very suitable place. 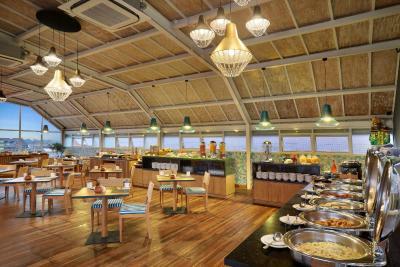 Buffet breakfast and served to order omelets at the rooftop was a nice touch. Great location. 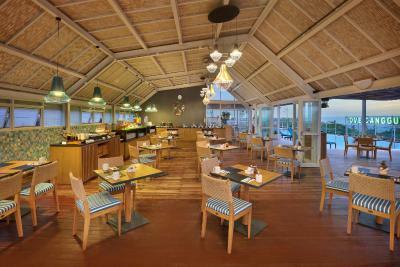 Staff friendly and good selection at breakfast buffet. Rooftop pool was great. Just 5 mins walk from the beach. Pretty good location if you wanna surf & be near the beach. 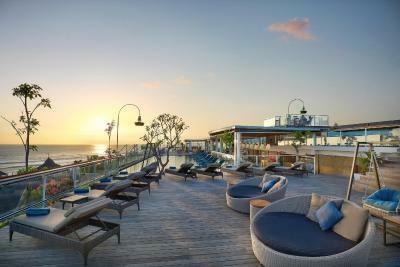 The rooftop bar/ swimming pool is a good place to chill away from the crowds to watch sunset! Buffet breakfast. Good proximity to some the Lawn and Old Man's. Also Carla Spa was good for massages up the road. We had a nice stay at the Aston. 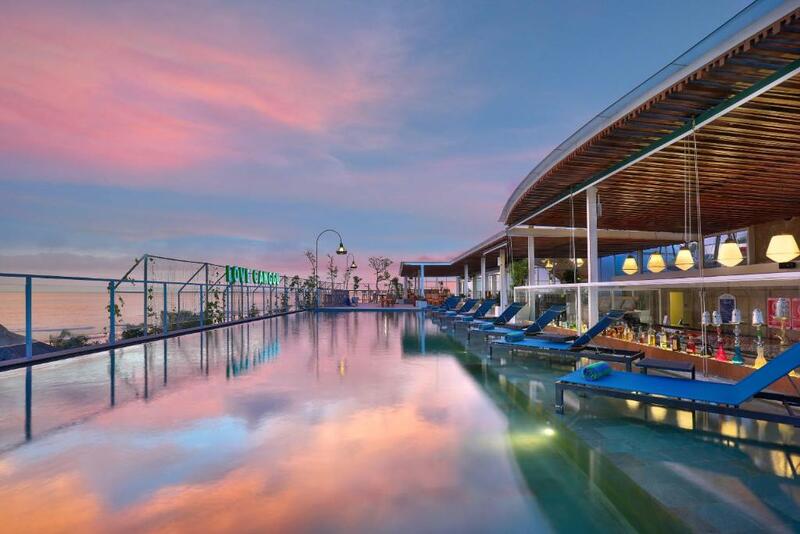 It's extremely close to the beach and some fun bars and restaurants, has a rooftop pool and bar/restaurant, great complimentary breakfast spread. Rooms were spacious and comfortable. All in all a solid hotel! Friendly staff & great cocktails. Great variety of food for buffet breakfast. Great price!!! 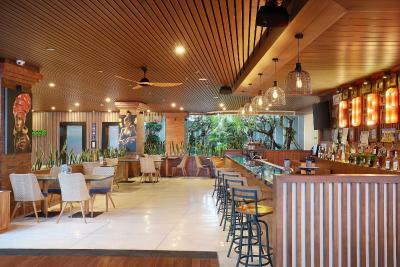 Great location for everything Canggu. Close to the shops, bars and beaches. The staff was also great. Also, the cable TV selection was great, which is rare for Bali. Staff were so friendly ,helpful and honest. Breakfast was fabulous with a great variety . Beds were out of this world absolutely huge and comfortable . Awesome location , very central to everything . 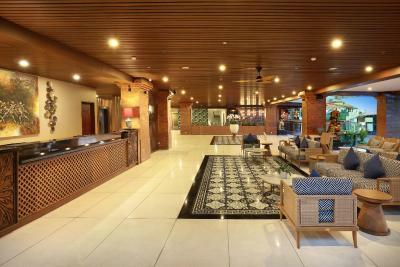 Aston Canggu Beach Resort This rating is a reflection of how the property compares to the industry standard when it comes to price, facilities and services available. It's based on a self-evaluation by the property. Use this rating to help choose your stay! 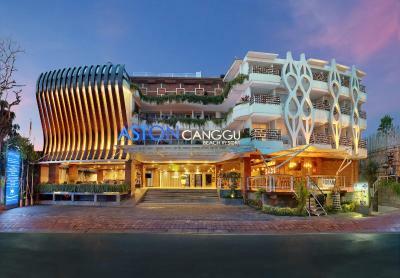 Set in of Bali's popular district, 2,300 feet from Echo Beach, Aston Canggu Beach Resort features stylish and modern accommodations that greets you with great hospitality. 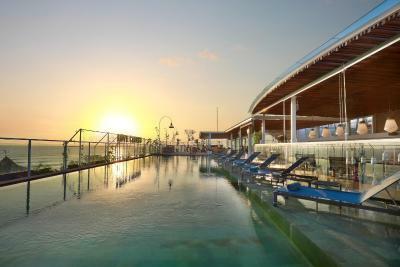 You will enjoy splashing in the swimming pool, relaxing on the sun deck, dining at the restaurant or sipping a cocktail at the bar, all with panoramic view of the sea. 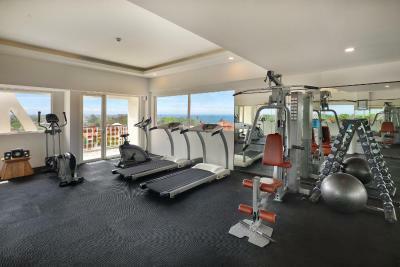 Each room at this property is fitted with a flat-screen TV, while some units offers a seating area where you can relax. You can enjoy a cup of tea from your terrace or balcony. 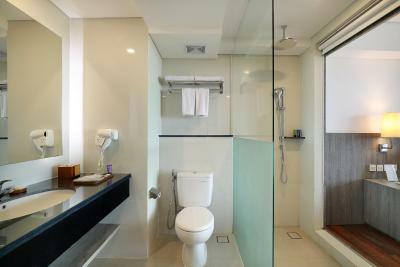 Guests benefit from a private bathroom equipped with a shower. For your comfort, you will find slippers, free toiletries and a hairdryer. 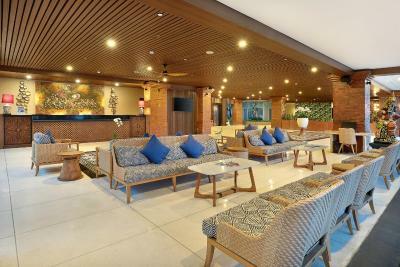 Aston Canggu Beach Resort features free WiFi throughout the property. There is a 24-hour front desk that will be happy to assist you anytime. 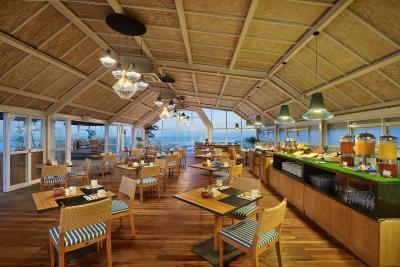 Batu Bolong Beach is 650 feet from Aston Canggu Beach Resort, while Berawa Beach is 2,950 feet away. 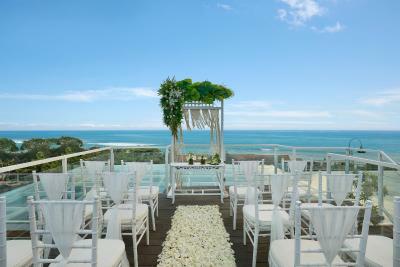 The nearest airport is Ngurah Rai International Airport, 6.2 mi from Aston Canggu Beach Resort. 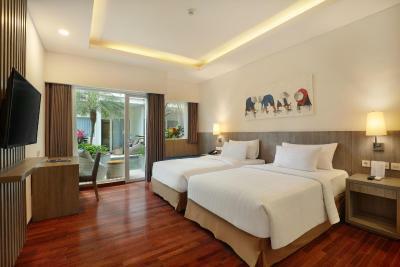 When would you like to stay at Aston Canggu Beach Resort? 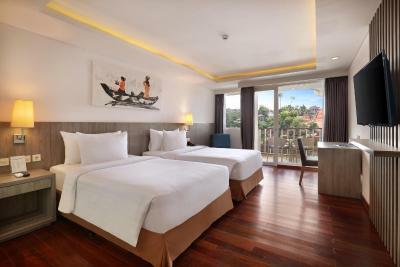 Suitable for up to 2 people, this superior room offers a private bathroom with cold/hot shower, slippers, toiletries, and a hairdryer. There is a flat-screen TV and a terrace/balcony with a seating area. Guests enjoy 15-minute back or foot massage. 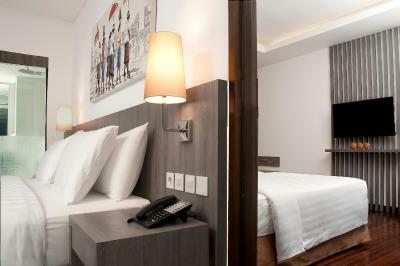 Suitable for up to 2 people, this deluxe room offers a private bathroom with cold/hot shower, slippers, toiletries, and a hairdryer. There is a flat-screen TV and a terrace/balcony with a seating area. 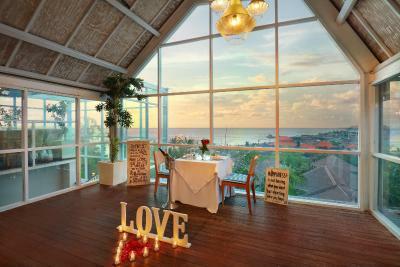 House Rules Aston Canggu Beach Resort takes special requests – add in the next step! Aston Canggu Beach Resort accepts these cards and reserves the right to temporarily hold an amount prior to arrival. Tables were not regularly cleaned during breakfast, tables left I cleaned from other guests and not re-set for next guests. We were unable to get a late checkout and were told there was a shower we could use but found out that it was an open shower next to the bar and pool so not ideal when preparing for a flight home. 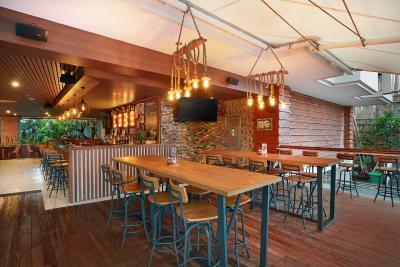 It is lively as there is a sports bar open all night and is very close to the main bars. Perfect for people looking for that kind of thing, but If you want it quieter could benefit from requesting a higher floor. 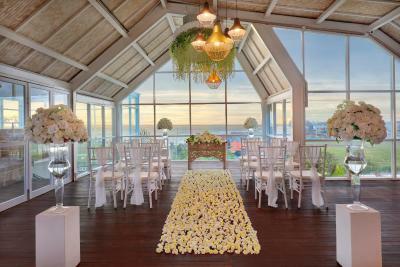 The location was great, the food in the rooftop restaurant was really good. The shower was cool. Staff were extremely friendly and really went the extra mile for any request! 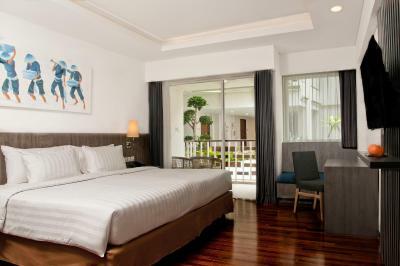 Free access to dart and pool table, welcome drink and 15 min massage in their spa. Would 100% stay here again! if you are looking for more quite location probably this is not the place. My only complaint would be the room was noisy in the evening! It was like a generator constantly running! Background noise but louder! Location & staff were nice! Extremely noisy (to the point of not sleeping), had to be moved rooms. First room was also quite damp. let down. The "king bed" option was just two beds pushed together. There was never enough soap for 2 people to shower. The "concierge" was less than helpful. Very loud. location. Front desk employees were nice. 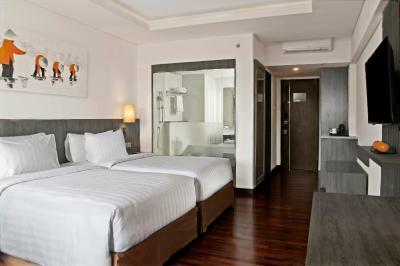 The hotel is very nice, modern and clean. The staff is very helpful. The breakfast is one of the best I ever had at a hotel with plenty of choice. 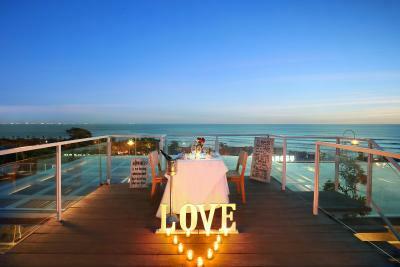 The pool on the rooftop has an amazing view on the beach and is quite refreshing. I highly recommend! A little noisy during the night. I paid extra for a sea view room but the view from my balcony was somewhat disappointing. At night, due to the location of our room being right on the street - it could get quite loud outside. The breakfast was fantastic. They had a vast array of choice - which was really appreciated.